Deep foundations are perhaps the most robust option for supporting a structure. Sure, there are other options — shallow foundations (spread footings), intermediate foundations (aggregate piers) and ground improvement methods — but none are as impressive in their own right, or carry a load like a pile. Besides, piles provide so many options of their own that there’s insufficient room here to discuss anything else. Deep foundations are more than we can handle in just one blog post. So, in this first part of our blog series, we will discuss the different types of deep foundations and some of what goes into designing them. Part 2 will address quality control and integrity testing – in other words, construction. What are Deep Foundations and when are they used? Deep foundations (generically referred to as piles) are long, slender, structural elements that transfer the load from a structure (building, bridge, embankment, etc.) through supporting media or to a supporting medium (soil and/or rock) at depth. Geometrically, a deep foundation can be defined as having a length (depth of embedment) significantly greater than its width. One can classify deep foundations in many ways based on their purpose, type, construction method, displacement or capacity. 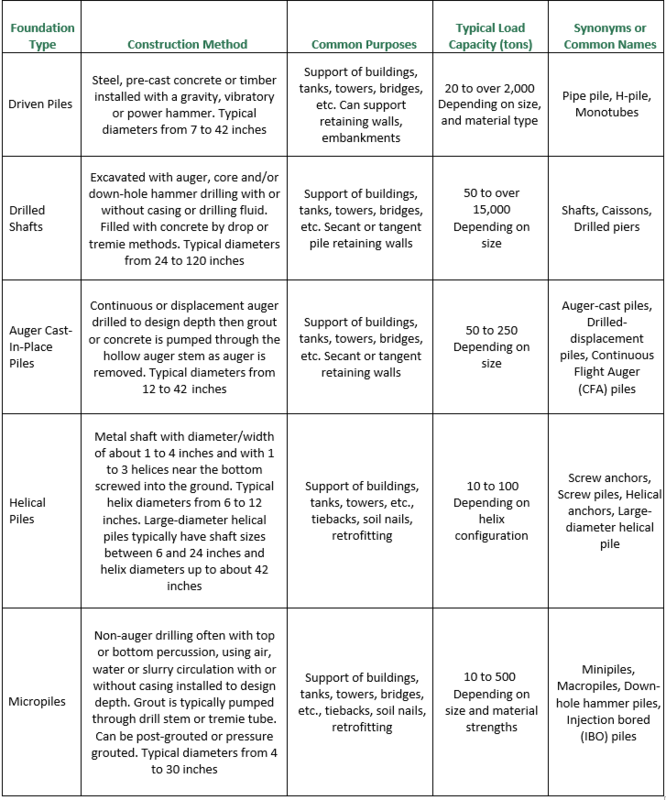 The table below is not an exhaustive list, but does cover the most common deep foundation types in the Midwest. In addition to material strength and diameter, typical load capacity also varies with subsurface conditions at the site. This concept leads us to the design of deep foundations. Today, most of the deep foundations design methodology is published by the Federal Highway Administration (FHWA), who have the resources to conduct research and present findings. Contractors and material suppliers also advance deep foundation design, usually through various industry-based societies or groups. In concept, the design of deep foundations is relatively simple. The sides of the pile provide resistance to load through friction between the pile and the soil it penetrates. The bottom of the pile provides resistance to load through bearing like a typical spread (shallow) footing. However, the mechanics at work are more complex in practice, especially due to the nature of soil and rock behavior and the inherent variability of soil and rock. 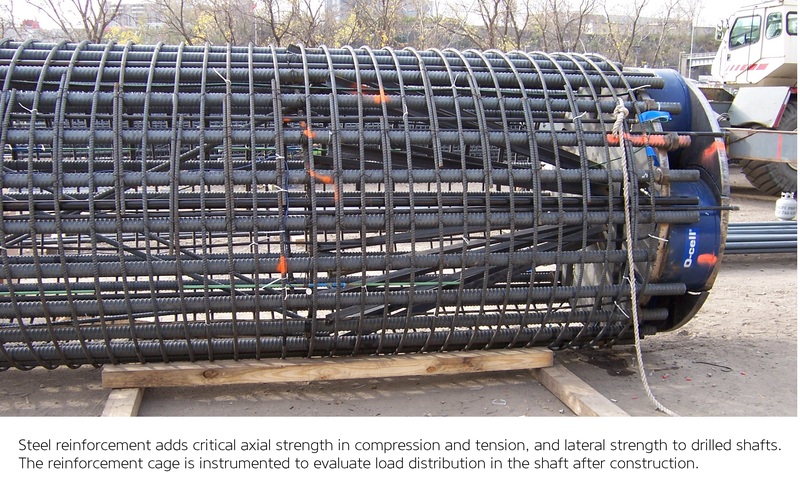 When you add tension, movement and lateral loads to the compression loads that a pile supports, the evaluation of a pile’s capacity and the selection of the right pile type becomes more difficult and iterative. Deep foundation design starts with understanding the subsurface conditions on a project site, as well as knowledge about what is to be built, the performance expectations and risk tolerance. Once subsurface conditions and building loads are established, suitable pile types for design can be selected based on how easy or difficult the installation will be. 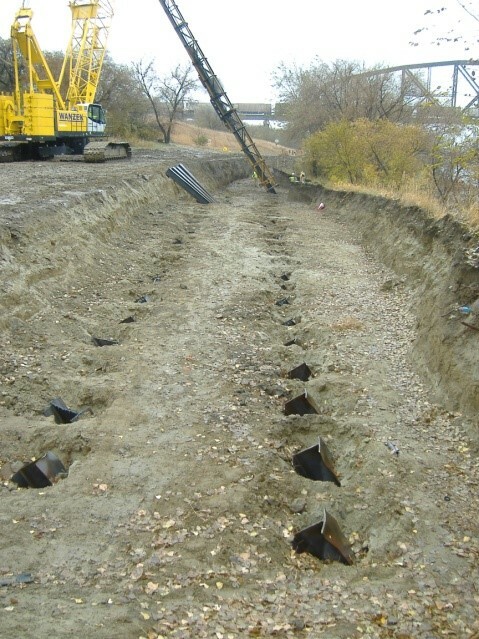 For example, driven piles or auger-cast piles may not be appropriate for a site where bearing soils contain cobbles and boulders mixed with weak or even competent soils. Likewise, drilled shafts may not be the best choice for a site with contaminated soils, the disposal of shaft spoils being potentially costly and difficult. 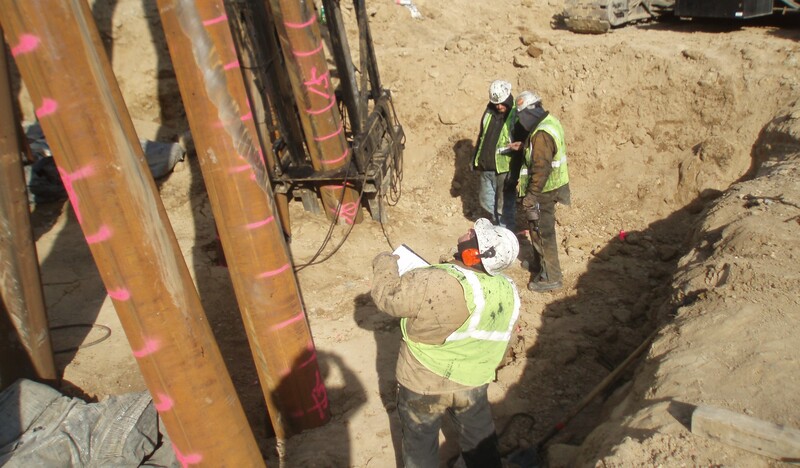 After identifying suitable pile types, the next step is to evaluate the side and end bearing resistance of the different pile types along with a range of lengths, widths, and diameters. This evaluation consists of developing a model of subsurface conditions and assigning soil or rock strength parameters that impact the friction or bearing capacities of different types of piles. With the models developed, we next consider the different limit states to which the pile is subjected, such as strength in axial compression and tension, or settlement and lateral deflection. The project is then adjusted based on the results from the limit state evaluations, pile size, length or strength required to meet the performance, and the risk requirements of the project. Although it has most likely been going on throughout the previous steps, communication with the project team (the owner, structural engineer and contractor) now reaches a critical point. The team needs to evaluate the costs and performance of the different pile types. At Braun Intertec, we like to look at load-support cost, which is the cost of an installed pile divided by the allowable load of the pile. This is different from comparing the cost per foot of different pile types or sizes. Sometimes, it is more cost-effective to install fewer, longer piles than it is to install more, shorter piles. Depending on the outcome of the discussion, the group may choose to consider additional pile types or sizes or eliminate some from consideration. Hopefully, the team is able to identify the perfect pile type and size and can move to the next step of the process, construction, which we will discuss next week in Part 2.